Hang all your clothes with the hanger facing you (the 'wrong' way). As you wear clothes, wash and put them back, turn the hanger the 'right' way, facing away from you. After a season has passed, donate anything you didn't wear - from that season. If your shoes are on a flat surface (like a shoe rack or the floor), face shoes toe to heal, like in the picture. It will take up less space and allow for more shoes or more open space, depending on your system. Hang something on the back of the door or on the wall. Hooks are our friends! Necklaces, belts, purses, hats, scarves, even strappy things like tank tops can all hang on hooks. 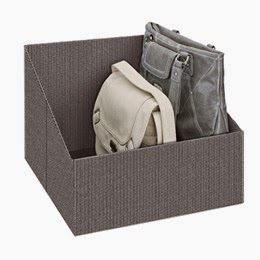 Get rid of boxes. 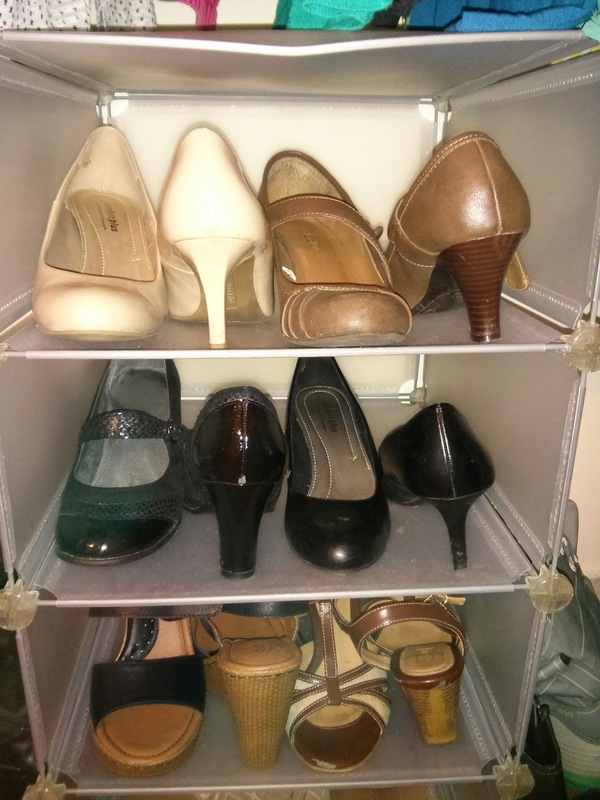 Even if it's a fancy pair of heels, there's no real reason to keep shoes in the cardboard boxes they come in. Same with purses, even designer ones. If it's that nice, it'll come with a protective bag that takes much less space than the bulky boxes. Contain and divide. 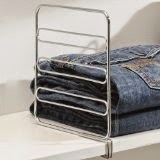 If you have sloppy piles and stacks on shelves in the closet, consider using a shelf divider (shown from Amazon) or clothes container (shown from The Container Store) to create a steadier stack.